SPST Momentary Switch (hold down to operate) - The exact switch mechanism used by Thomas VOX to actuate the MRB effects. You have to hold the button down with your toe the entire time you wish the MRB to be engaged. DPDT Foot Switch - Latching Style (click on, click off) Replaces the fuzz footswitch on Thomas four or five button pedals. It also can be used in the tremolo, reverb, and repeat percussion circuits on the Thomas five button pedals. 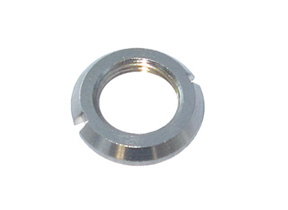 Spanner Control Nut - This is the special nut used on Thomas and JMI footswitches to fasten the switch mechanism to the case of the footswitch. 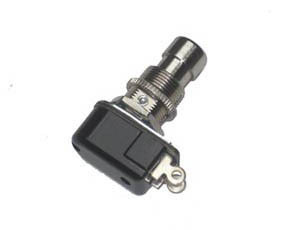 Also used on the standard sized (not mini) power and standby toggle switches used on Vox amps. North Coast manufactured these from scratch when we found they were no longer commercially available. 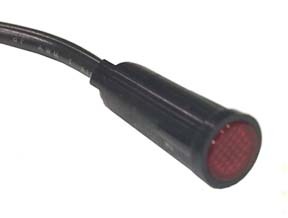 Thomas Footpedal Distortion Indicator Lamp Assembly - Available with a red, blue, green or orange lens, these are the exact replacement for the 28 V incandescent indicator lamp assemblies found on Thomas four or five button footpedals. Includes mounting clip. Please select the color needed from the choices below. 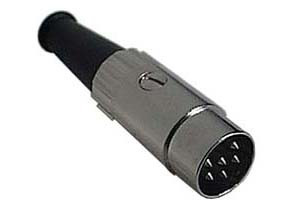 Six Pin Switchcraft Plug For Vox Foot Pedals - This was the type of plug used on Thomas (American) Vox three, four, and five button foot pedals. 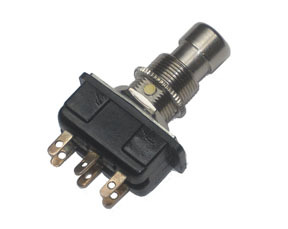 This plug was also used on the three button foot pedals that came with the UK Vox JMI and VSL manufactured Supreme, Defiant, Conqueror, Virtuoso, 715, 730, 760 and 7120 amplifiers. Wiring Schematic - Thomas Vox Four Button Foot Pedals - Reprint of the factory schematic detailing the correct wiring for the foot switch with four buttons and one red indicator lamp as used on the Super Beatle, Royal Guardsman, Buckingham, and Visount amplifiers. A picture of this foot switch is shown at left. You must have the skills to read to read an electronic schematic for this offering to be helpful to you. Wiring Schematic - Thomas Vox Five Button/Four Indicator Lamp Foot Pedals - Reprint of the factory V1143 "Beatle" amplifier schematic which also details the correct wiring for the V1143 Beatle foot switch. The amplifiers that use this foot switch always have the "Repeat Percussion" feature or effect. A picture of this foot switch is shown at left. Vox Egg Pedal Rubber Base Pad - Is your JMI, VSL, or Korg/Vox "egg" foot switch missing the rubber tread from the bottom of the pedal? 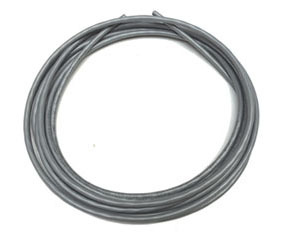 This is the original ribbed rubber tread to repair your pedal. 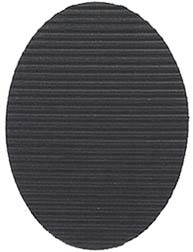 Rubber Tread Base Pad for US Vox Three, Four and Five Button Pedals - A piece of the ribbed rubber tread material measuring 4" by 8" as used on the bottom of US three, four and five button Vox foot pedals. Apply to the steel base plate with spray adhesive (adhesive not included). Does not include the steel base plate. Rubber Tread Base Pad for UK Vox Three Button Pedals - A piece of the ribbed rubber tread material measuring ~5.5" by ~5.5" as used on the bottom of JMI, VSEL and VSL three button Vox foot pedals. Apply to the steel base plate with spray adhesive (adhesive not included). Does not include the steel base plate.